The UK's hunts traditionally meet on Boxing Day, an event that attracts crowds as it has done for years. Many will admire the horsemanship, the control of the hounds, and the sheer spectacle that a hunt brings. But more and more people are seeing behind the gloss, as the truth about what the hunts really do, and why they do it, is increasingly revealed. Let us tell you a Christmas story – and we can assure you, every word is true. At the League Against Cruel Sports we have a team of investigators, who work incredibly hard to ensure that animals aren't being harmed or killed in the name of 'sport'. Earlier this month, they received a tip off – one or more foxes were being kept in an unused brick building on the land of the Buckminster Estate on the Leicestershire/Lincolnshire border. Strange. Why would anyone keep a fox captive? Suspicions were raised when our team noted that the Belvoir Hunt, which meets within a mile of the building, were due to hold a hunt on Thursday 17th December. Of course, all hunts, since the Hunting Act came into force, claim not to hunt actual animals – they say they simply follow false trails. So there couldn't be a connection...could there? Our investigators went to the building and sure enough, there was a fox. It looked scared, and the conditions in the building were poor – bare floors, mouldy partridge carcasses and no water. We filmed the fox, then decided to step back and watch. We also alerted the police as to what we had seen. On the day before the hunt was due to meet, a man arrived, checked in on the fox, then left. We had what we needed, so we moved in. The door was unlocked so we were able to safely capture the fox and take him to a wildlife hospital. He was dehydrated but otherwise not too poorly. Back at the building, on the morning of the hunt, the man reappeared. He was carrying an empty sack, and a pole with a net attached. Clearly he had come to collect the fox. A little later, the Belvoir Hunt met, just down the road. Christmas mystery? For anyone who believes that hunts do not hunt foxes any more, this must be somewhat puzzling. Or for anyone who believes that fox hunts perform an important conservation task by removing troublesome foxes on behalf of farmers, this must also be puzzling. 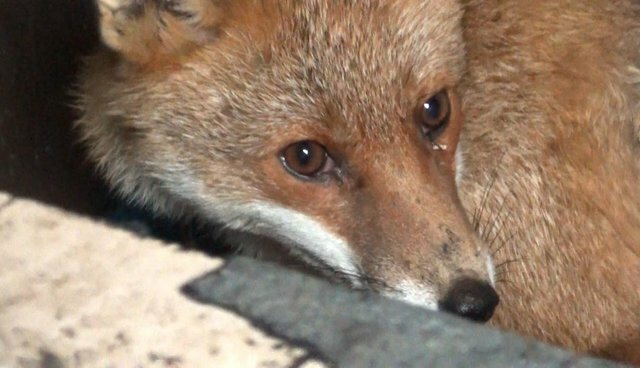 Why would someone capture and then release a fox, if the aim was to get rid of them? Unfortunately, for those of us who understand the true nature of fox hunting, there is no mystery here. It has long been known that hunts will ensure they have a quarry to chase by capturing, raising and then releasing foxes so that the hounds can latch onto it without much problem. Please make your own mind up. But we have no doubt that this animal was destined to become a 'bagged' fox, dumped in front of the hunt and then chased for miles before being ripped apart. All in the name of 'sport'. So when you see the shiny TV pictures of the Boxing Day hunts, please remember the mystery of the disappearing fox, as his story is the true story of what hunting is all about. By the way, we released the fox into a different area, so he is free, and safe. For now.